Black + white + rhinestones = Beautiful! Meghan and Luke chose the classic color scheme to compliment the beauty of Paradise Springs. The pictures speak for themselves. This wedding was absolutely beautiful in every way. Thank you for selecting Celebration Florals as your florist. 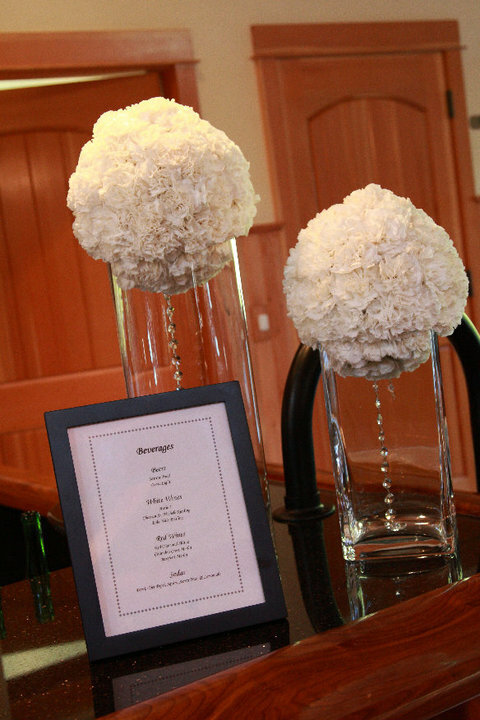 We loved designing your beautiful wedding flowers. Thank you to Emy Lyn Photography for providing these stunning images!